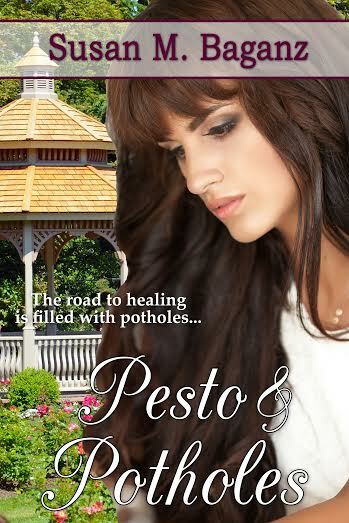 I’d like you to meet Antonio “Tony” DeLuca, whose story is featured in the novel Pesto and Potholes, releasing soon! Tony, how do you feel about your story being told? I think the book is really more Ren’s story than mine. I’m a little embarrassed to have my failures broadcast to the world like this, but Susan and Renata convinced me that God could use that struggle to help others. In the end it’s all good so I guess I can’t complain. I hope men will be inspired to do several things. 1) Treat women with respect. It’s really worth it. 2) Seek accountability. Not a popular concept in our world right now but I don’t know where I would be without the godly men I’ve been meeting with regularly, and 3) Be involved in a good church. Whoa. Where do I begin. She’s hot, she’s modest, she’s got a heart that is even more beautiful than her outward appearance because she loves Jesus. I’m so grateful God brought her into my life even though the beginning of our relationship is shadowed in pain. I never battled them. It was all Renata. She’s amazing. Her compassion and her strength astound me. Stephanie gets her story told and I’m glad I made a new friend in Roberto. I admire their courage in sharing their journey. I was honored to be there for them both in the process. Thank you, Tony, or taking the time out of your crazy schedule. One last question though. What’s your favorite song right now? Anything Ren sings. *laughs* Okay, this is old school. But when I think of my relationship with Renata I think of “Everything I do (I do it for you)” by Bryan Adams. There are some spiritual themes in there although the metaphor is not complete. Love, sacrifice . . . it’s just like Jesus and us, but also the way our love for someone else should be. You can click below but you’ll have to go to YouTube to watch it there. Thank you, Tony, or taking the time out of your crazy schedule. No problem. Glad to help. I hope people enjoy the story. I’m kind of partial to the ending myself. *winks* Susan just told me that the release day might be pushed off for a little bit, but trust me, it will be worth the wait. I’m fed up. I pray that I never know enough to be a jerk about it. I want to be fully cognizant that the more I learn the less I know about myself, the people around me and the world I live in. Why would this be my beef right now? Because some people blamed Robin William’s death on his wife. Some tortured his grieving daughter on twitter. A church wants to boycott his funeral but a comedian has offered to pay for them to go protest ISIS instead. As I do have a snarky side I’ll refrain from commenting further on that one. Because some people rejoice at the challenges facing pastor Mark Driscoll. Because some people are more concerned with dumping ice than reaching out to someone with ALS personally. Because some people are more concerned with the size of someone’s waist than with the state of their heart. Because when I was on vacation and met a homeless man, some preferred to ignore him rather than expressing compassion for his plight. What’s the point in learning if we lose our heart? What’s the point in memorizing Scripture and being able to defend our faith in Jesus Christ if we never live out our faith? Yes, Scripture is clear. Learn sound doctrine. Defend the faith. But even more than that we are to let our actions speak louder than our words. We are to bear fruit. To listen to another’s hurts and encourage them. To treat people with respect–from your wife to the homeless man on the street to the pastor you only know through social media. Or has that our standard of truth nowadays? I have strong opinions on many things – but if expressing them as an expert would throw up a roadblock to Christ, I try to refrain. Seeks traditional medicine for cancer or seeks alternative options. I’ve often said I am a champion navel-gazer. (for those who are confused, I’m talking about my belly button). Part of that though is my personality which enables me to write and serve in ministry like I do. It’s part of God’s unique design that I am introspective. But I hope I am never so self-absorbed to ignore the pain of another. I probably swing too far the other way. But the reality is, none of us can save anyone from the pain and challenges of life. We might speak words of love and encouragement. We might give money or food or meet other needs. But ultimately the deepest struggles we all face are at our core, spiritual. And knowledge can only go so far to heal those hurts. We all need compassion. Understanding. Love. We do not need condemnation, harsh words, hatred spewing out. And part of me fears that I’ll come off as judgemental in even writing this post. After all, don’t the narcissists and self-righteous “know-it-alls” among us deserve compassion too? Sure, but not for those behaviors. Pity maybe. Lord help us. There are people suffering in this world who desperately need us and not our deep-seated opinions. Give us humble broken hearts for those who hurt. Make us quick to listen and slow to speak. And help us recognize the divine opportunities you put in our path to be “Jesus with skin on” to those we meet. I’m not good enough. Is that a common fear or something only I struggle with? I had a negative interaction and at first was thinking, “why can’t this person just get along with me?” I felt disrespected. Then it hit me. Maybe the issue isn’t him. Maybe it’s me. In spite of thinking I’m respectful, competent and have a right to be heard on an issue, what if instead I’m coming across as arrogant and I’ve frustrated and hurt this person instead? How does one not take failure personally? Respect is a huge issue for me. Once I confronted someone for the lack of respect they were showing me. They had been saying negative things about me behind my back and I caught wind of it. It had happened before so I addressed the issue. Her response? She laughed at me. Let’s get this clear. Both of these instances were verbally/emotionally abusive. The responses these women gave were intended to demean me and strip me of any belief that I deserved respect. And to be honest, I’ve had way too much of that in my life. And it hurts. And even though I forgive, the pain lingers. 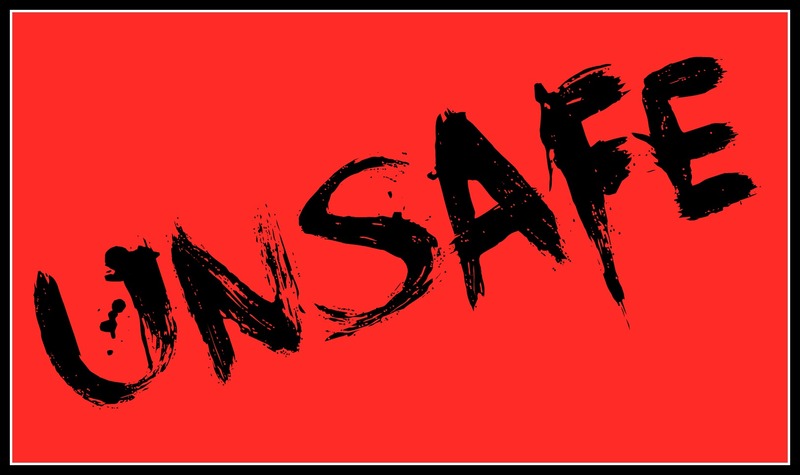 In my mind people like this have a stamp on their forehead that says: “Unsafe.” Yeah, really. I can almost see it. I have had many more conversations though that didn’t end so badly. I disagreed with a leader and I told him why and how I felt about his decision and he listened and apologized for not taking into consideration my feelings. I let it go. He had my full support through however his decision ended up. I have great respect for him years later and in relationship to him, I’m good enough. Another person I sat down face to face with and said, “You apologized and I forgive you but I want you to understand how your actions affected me.” When I’m working with him I know, that even though I make mistakes, I’m good enough. So why am I on this today? I think the enemy likes to dredge up those hurts, some that continue daily in my life, and tell me that they are the truth. I’m fighting to believe it’s a lie. Scripture says I’m good enough to do the work God has called me to do. Will I do it perfectly? No. I’m okay with being human (most of the time). I’m okay with apologizing when I screw up. I struggle with depression. I’m also an author and sometimes the pain of my characters is my own and writing about that scrapes wounds raw as I explore them more deeply. To not be good enough to be wanted or loved. Isn’t that a deep fear for everyone? Thankfully God doesn’t look at me like that. I’m good enough because of Jesus. And I’m becoming better as I lean on Him and let Him continue to lead and guide me, even when the outcomes hurt. The pain of art. The pain of life. 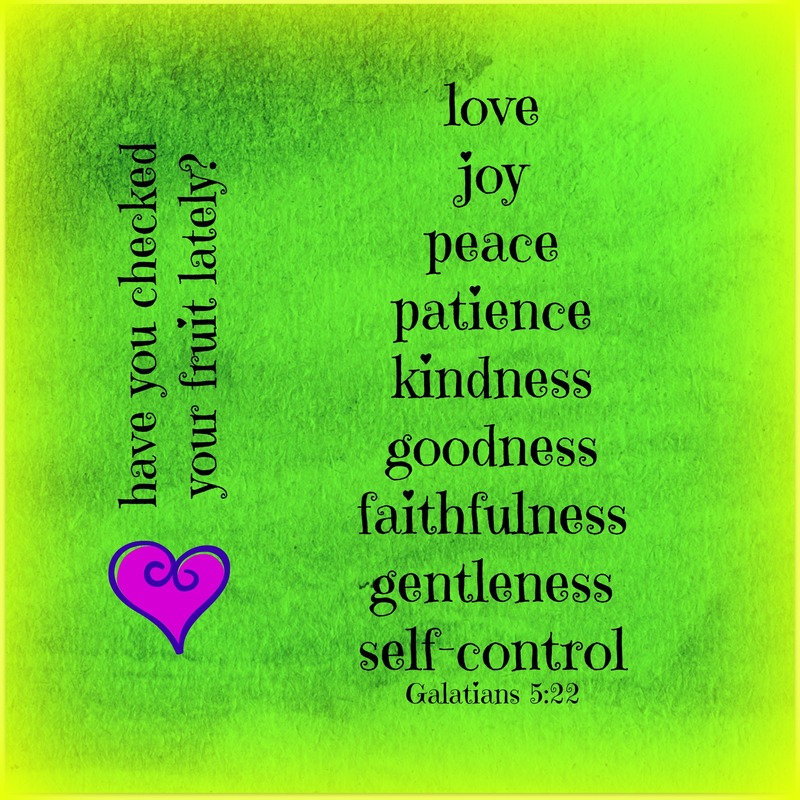 I’m good enough and I am blessed that for every “unsafe” person there are many more who are-especially Jesus.